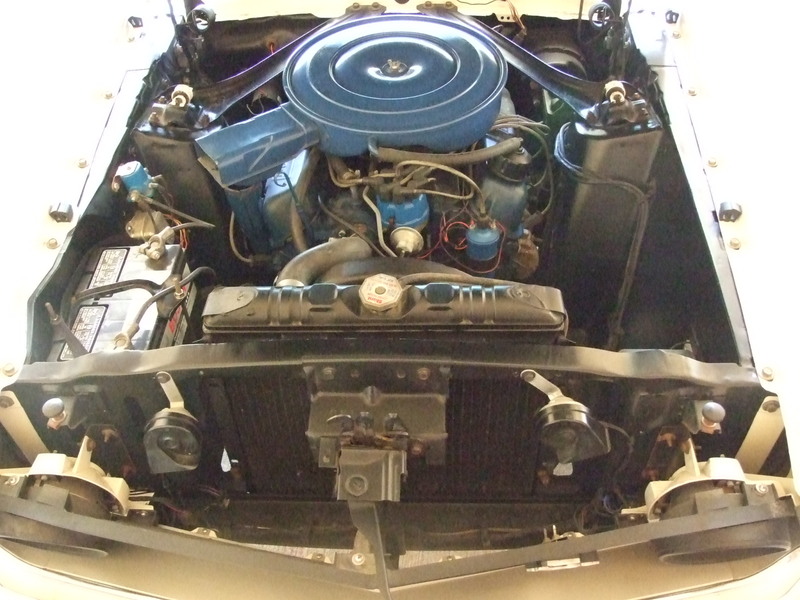 Our research indicates that a 1968 -1969 Windsor 351 engine should have the following block numbers. If you review pictures 159 – 162 on our website, that may in fact be the numbers on this engine. * The paint is smooth, shiny, and matches well all the way around. * The paint is definitely high quality, and we don’t see any imperfection. The finish is not showing typical orange peel. * We don’t see any scratches in the paint. * The burgundy stripe is painted on, and professionally done. * We saw one small nick on the left front wheel well opening, and one below the drivers door handle. * The body is very straight, and was expertly prepared prior to repaint. * During the restoration there were some replacement panels used. * On the drivers door, about a 12 inches down, below the mirror there is a slight dimple. * In taking random readings around the car on each metal panel, we found that the paint was mostly in the area of 10 to 15 mils. This is common for a quality restoration paint. * The bright work surrounding the front and side windows all appears to be all fastened and secured firmly. It shows very light wear, and a quality polishing would bring it back to almost new. 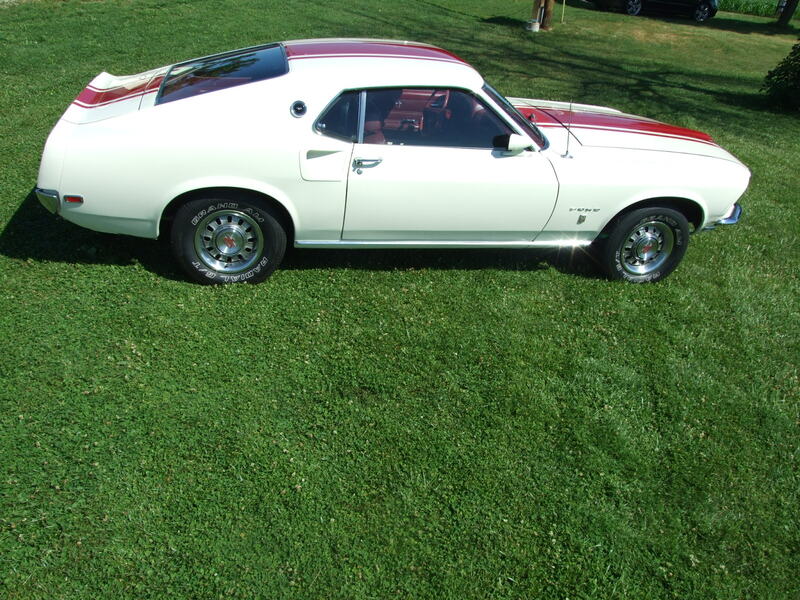 * The bright work on the rear window frame, and the molding right below does have slightly more wear and slight pitting, as well as a little scrapping on the right side. * The front and rear bumpers look like that of a car just a couple years old. * There is some sealer around the stainless surrounding the fastback window, that may have been to keep moisture out. * There is some pitting on the gas filler cap assembly, door handles, and the bezel surrounding the grill. * All four side windows and the rear glass all have the “Car Lite” emblem, and the windshield has no emblem. * All of the glass looks nice and clear, and we don’t see any discoloring, delamination, bull-eyes, cracks, or wiper wear. * There are a couple of pin head size nicks in the windshield from normal driving. * Car needs new wiper inserts. 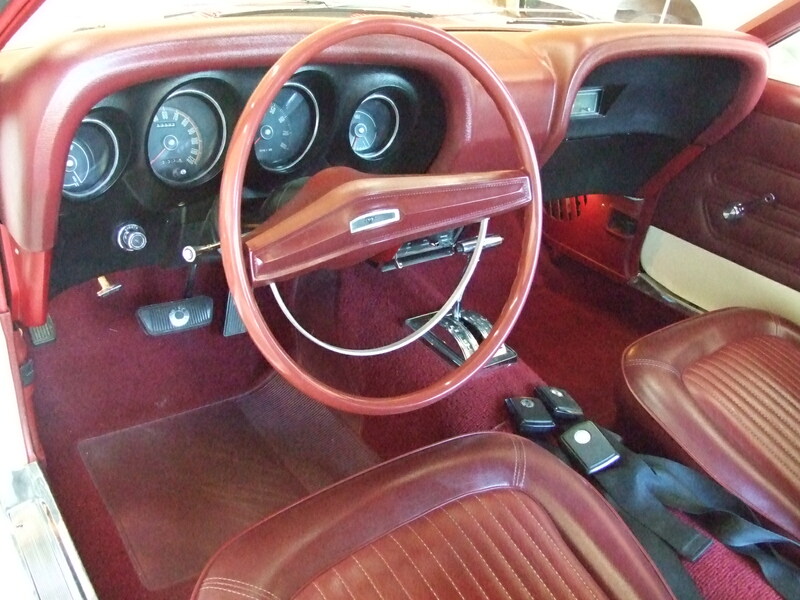 * The interior looks much as you would expect it to look originally, with the exception of a cassette radio and newer style floor mats. * The headliner has good color, and all the seams are nice and tight, with a little light wrinkling at the corners in the rear. * The panels surrounding the interior lights are in place with very close to the same color as headliner. * The sun visors are matching the headliner and all have good padding inside, and are solid. 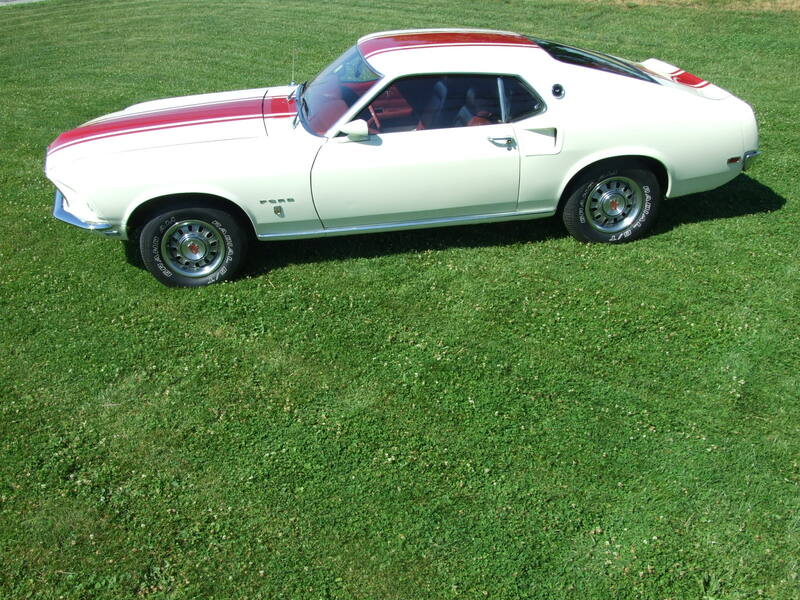 * The seats and door panels all look fairly new with good color. * The carpeting has lots of wear left, and is covered by matching mats. * The gauges show minimal wear and dirt. * The last small section of carpet in the cargo area has faded from sun exposure, which is common and could be fairly easily be recolored or replaced if desired. * There are lap belts and shoulder belts in the front section. * The base for the gear shift does have light pitting. 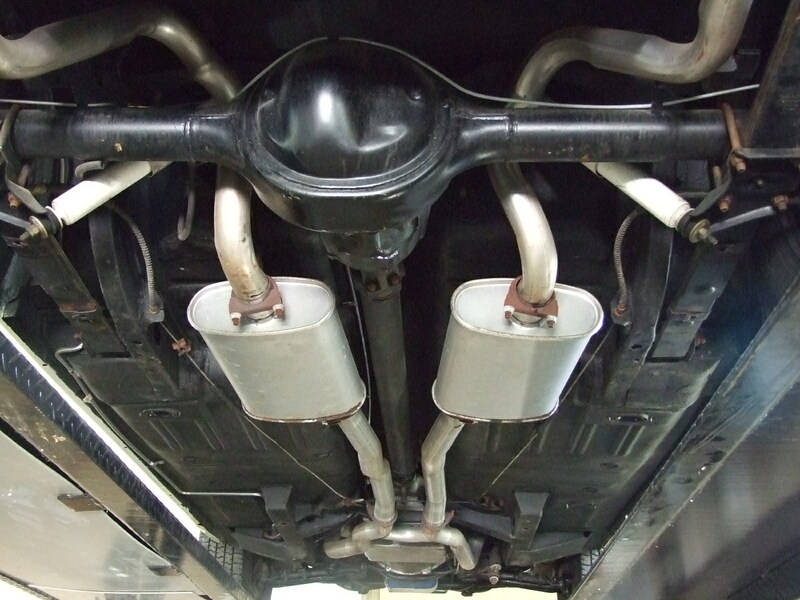 * The trunk is all painted, with the correct gas tank mounted in the center. 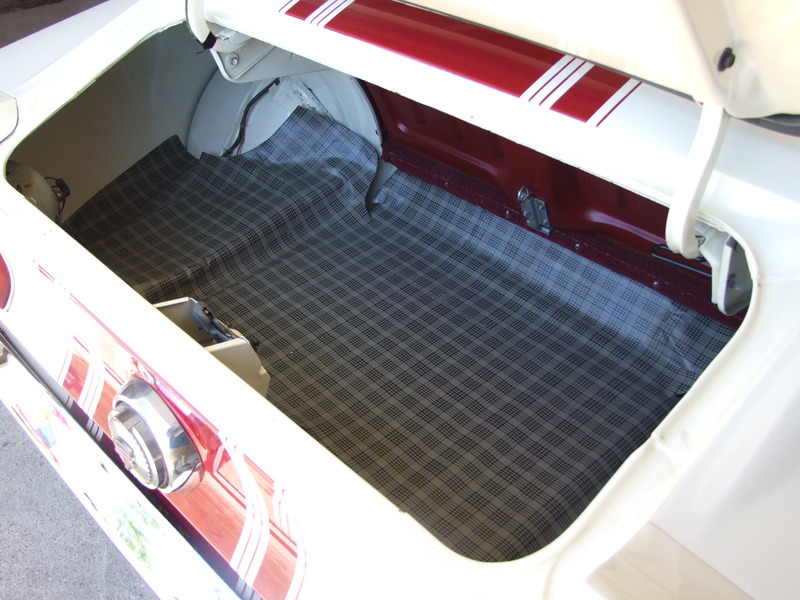 * The trunk has a nice cut cover, to cover the metal floor. 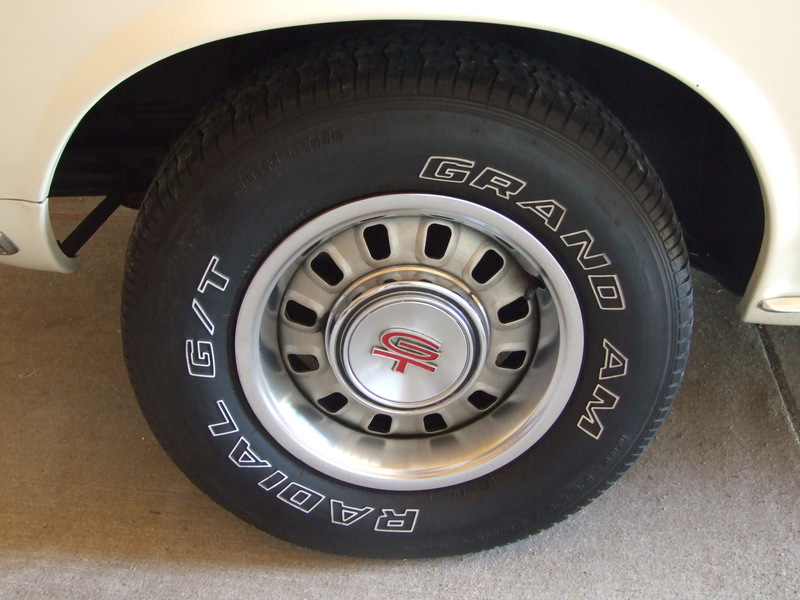 * The car does include a jack, but does not include a tire and wheel. * Under the hood area looks as it would have been designed, thought it appears to have replacement shocks, a Bosch battery. * A couple of the clips that are designed to fasten the hood insulation need replaced. * The floor and the chassis structures do not show any rust perforation that is obvious. * The bottom was painted during the restoration however with some age you will see some light surface rust on some of the components, but most has held up very well. 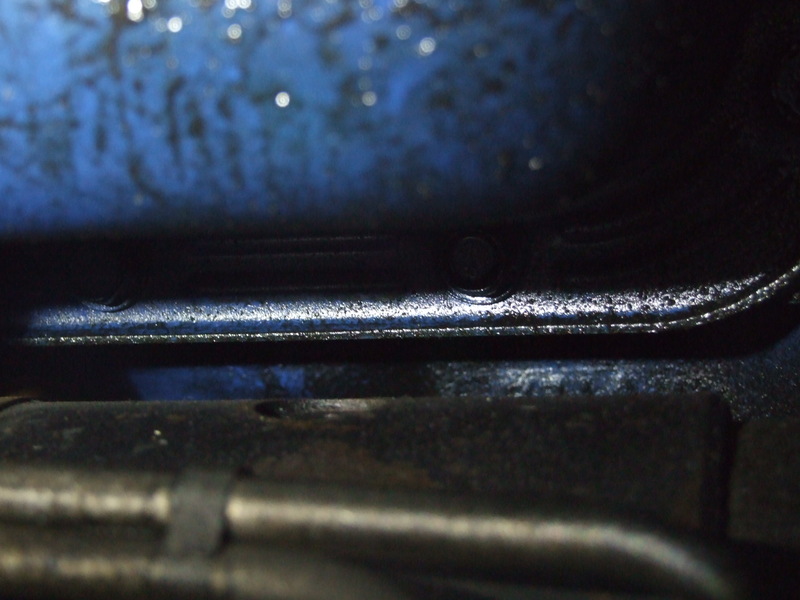 * There is little bit of dampness around the oil pan, and possible seepage near rear main, transmission, and the rear end. Nothing much more than normal seepage, and no puddling. * The right front tie rod boot does have a little split in it, but it is obvious a lot of time and effort went into the bottom side of this vehicle. Chad drove the car for 10 to 15 miles. The car seemed to run very smooth, and correctly without any improper engine noises. The transmission seemed to up shift, and down shift as it should. Upon braking it seems to stop well, and did not pull to one side or the other and without pulsation. Steering down the road was fairly typical for a gear box, thought it handled the road very nice with the addition of the radial tires. Its a very fun car to drive, and the sound is nice yet not to loud. Owner services car as needed, and changes oil every year. Owner uses non ethanol 91 octane fuel. The odometer section on the title shows “Exempt”.